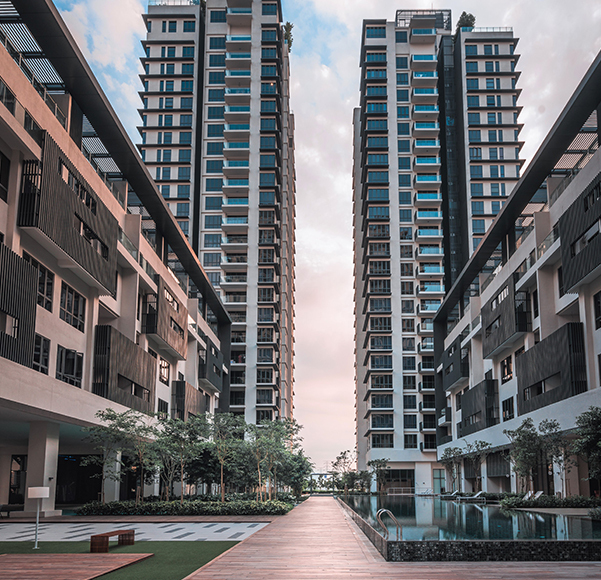 Nestled in the quieter, emerging enclave to the north of bustling, upscale Mont Kiara, Anjali North Kiara offers stylish villas and condominium homes designed to inspire serenity and solitude. The 4.93 acres low-density freehold development encompasses 365 condominiums units, 26 signature villas and 4 penthouses, which have all been consciously designed with resort- style living in mind. With only 4 condominium units per floor, featuring a private lift lobby each, Anjali offers a covetable privilege of modern living with generous space, privacy and exclusivity.